A centralised kitchen helps us manage operations from a single point of control; this includes receiving, storage, preparation, delivery, maintenance, among other processes that form the cycle of mid-day meal operations. Currently, we operate 41 centralised kitchens in 12 states of India and these kitchens prepare mid-day meals for 17,29,325 school children. 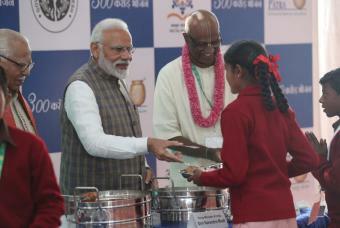 The Akshaya Patra centralised kitchens are equipped with cauldrons, trolleys, rice chutes, dal/sambar tanks, cutting boards, knives and other similar equipment that are sanitised before usage. 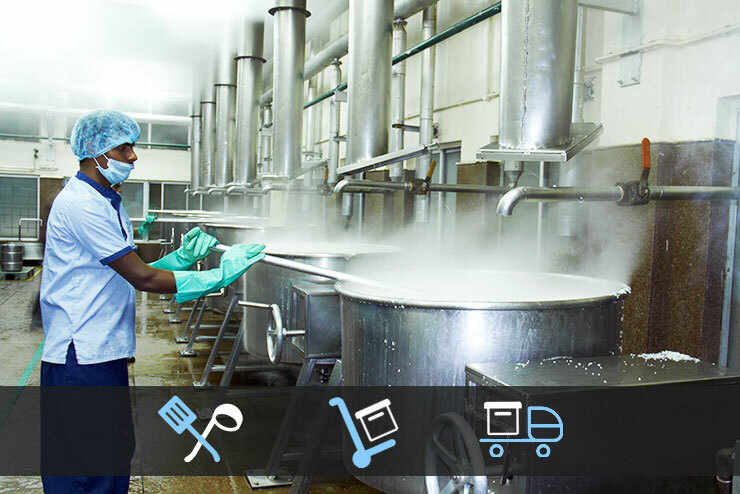 The semi-automated kitchens have the capacity to undertake large scale feeding, typically up to 100,000 mid-day meals a day and they also adhere to Food Safety Management Systems (FSMS) to ensure safe handling, preparation and delivery of the food. Using these highly mechanised units, Akshaya Patra is able to achieve the highest levels of hygiene by reducing human contact with the food. After cooking, the food is packed into stainless steel containers and transported via conveyor belts to be loaded into custom made food distribution vehicles, to be taken to the beneficiary schools.